As mentioned in the previous blog post and video, there has been a simultaneous crisis going on in Denmark regarding the teachers’ situation as well as within myself. One of the points that I see the teachers face in Denmark and that I can relate to for myself is that there’s a bias towards teachers as being somewhat lazy and complacent in their position, quite possibly because teachers are considered as having a lot of ‘free time’, school holidays and all. Obviously we’re here now only talking about teachers in wealthier countries and nations – but even here, the situation isn’t optimal. Having worked as a teacher now for some months, what I’ve found is that the work doesn’t stop when I come home. Many nights I’ve spent planning or mailing parents or talking to parents on the phone and even then it wasn’t enough, there was still more I could do. I for example spent a great portion of my Easter vacation at the office copying books and papers and even then I didn’t finish and have to go to the office on my scheduled time for planning to copy material for the kids. So I am certainly not lazy or complacent as a teacher and I am sure many other teachers aren’t either. Some probably are just like in any other profession and I can easily picture myself becoming lazy and complacent if I felt devalued in my position and if I devalued myself as a teacher. This is the biggest problem I’ve found in this context: that there is such a big difference between how teachers are depicted in the public sphere, how politicians often portray them and how one actually experiences oneself as a teacher. In the public sphere – again we’re talking Western mass-media here; teachers are often depicted as middle aged men with socks in their sandals in sweat pants or elderly ladies with glasses. In other words, a teacher is someone who is not cool, kind of ridiculous and not to be taken serious. Some have even had teachers that fit this description and obviously this doesn’t fit the profile of every teacher. I remember thinking as a teenager that it was only the people who were sucking up to the teachers who would become teachers themselves and needless to say that I was NOT one of the kid who sucked up to the teachers, at least I tried to keep a balance so that my friends would see me as cool and not as a nerd. But I judged people who liked going to school and thus also teachers as being ‘pets’ of the system. The government or their political representatives have, at least in the Danish conflict that is currently taking place, portrayed teachers as ‘whining’ and ‘complaining’ and quite lazy to say the least. Here it is also evident that teaching is looked down upon as a ‘low status’ job considering how it is valued through the salaries and benefits teachers receive. So teachers are devalued both when it comes to social status and when it comes to salaries and why is that? As I’ve mentioned previously, the low status doesn’t fit with my concrete experience of the actual work a teacher does. Quite the contrary – I’ve come to see and realize that this is some of the most important and professionally demanding work there is. And I’ve started wondering whether it is in fact so that the people, who make the most money, actually do the least work and the people who do the most work in this world, earn the poorest wages. That is quite a conundrum and if it is true, what does that say about how we value ourselves and each other in this world. How is it that we value actors or soccer players more than teachers or doctors or car mechanics? It is most certainly not because the work they perform is more valuable… or is it? Could it be that teaching– and other professions – are devalued specifically so that teachers will remain in a position of survival and fear and self-devaluation which in turn will have the effect that teachers become discouraged and end up just pushing the same system onto children as have been pushed onto them? Several ‘big thinkers’ have mentioned the power of education throughout the history of mankind. Just think about it – what children are being taught in school is not the one and only truth about life or about humanity, no, they are learning to see things a specific way. An example is how history lessons are often centered on the lives and battles of kings or how all European philosophy is Eurocentric, meaning where no other perspective is included than from people inside Europe. Education is where people are shaped and molded to have specific outlooks on life and on themselves. As such education is a powerful tool – but teachers are expected to do the bidding of the system and as mentioned, perhaps the devaluation of teachers both economically as well as financially is playing a role in how teachers don’t actually realize the tremendous opportunity they have and the responsibility that comes with that. When people are devalued they often come to devalue themselves and when teaching is seen as a ‘low position’ it is no wonder that many teachers do not take pride in their work or in becoming the best teachers they can possibly be. It is no wonder that very few people in very few positions in this world actually take pride in their work, because their work is not a reflection of who they are. It is something that they’re forced to do in separation of and from themselves to survive, either directly or by extension through for example competing in the race for the most prestigious jobs. The thing is though, that this isn’t going to change from the outside – meaning where the world will suddenly wake up and realize how important teachers are or how important it is that we value each other as equals and support everyone to work and live to the fullest of their potential. It can and will only start with ourselves. And it is therefore I am grateful to be in the position that I am in, in a job that I didn’t want, that I looked down upon, that I had bias towards and that is showing me every day how wrong I was. Therefore I will continue perfecting myself to become the best teacher that I can possibly be, even though I wasn’t born to teach as some people are and even though it is not specifically a calling that I’ve felt drawn towards. I will also work with shedding the bias and beliefs I’ve created towards teachers in general so that I can step forth and stand up as a teacher teaching based on principled living because I’m standing as an example in myself. If we don’t value or give ourselves worth and see the tremendous opportunity we have to make a difference and within that also the responsibility – who will? 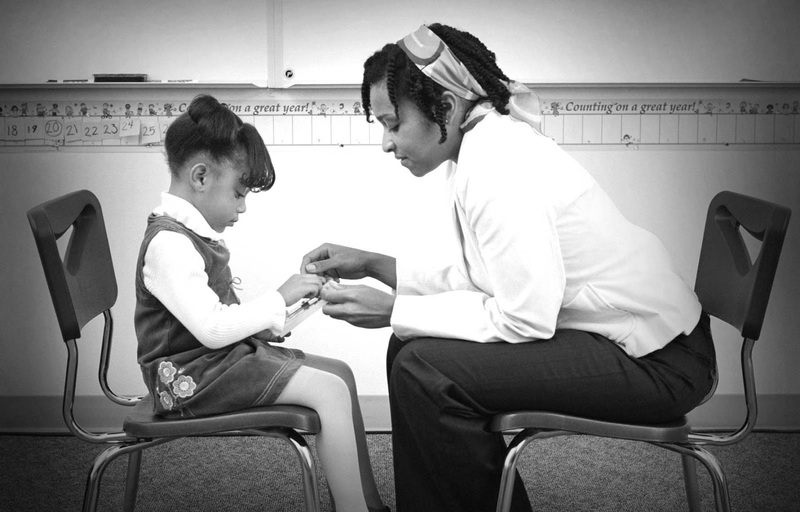 “Teaching is the one profession that creates all other professions.” – Unknown. On the YouTube channel Equal Money Wiki we have the past two Sundays hosted lived webcastings with myself, Marlen Vargas Del Razo and Yogan Barrientos on the topic of Education. These can be viewed live on air as well as afterwards. So definitely suggest to check them out!